Arne Duncan Wasn’t a Good EdSec (but you knew that). WHO IS ACCOUNTABLE FOR POISONING OUR CHILDREN? 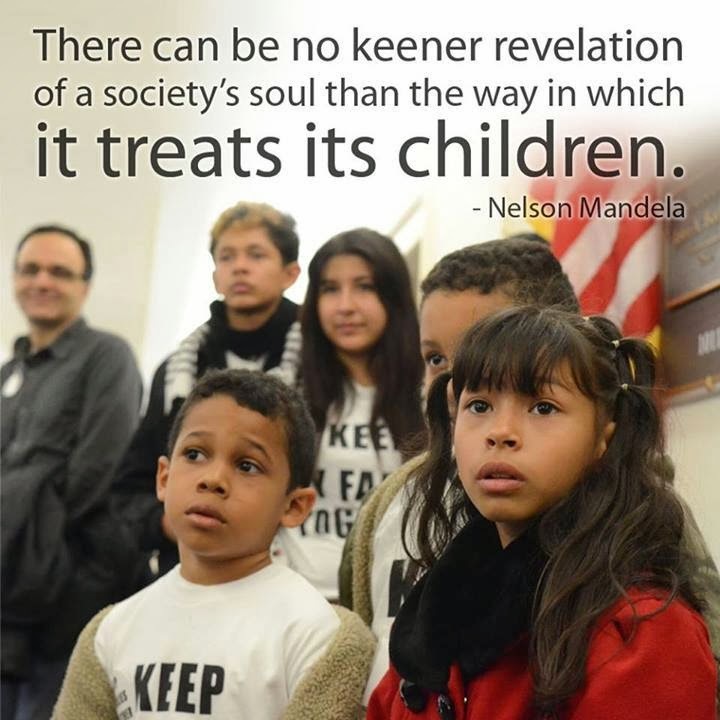 History will likely reflect negatively on how we Americans have treated our children. Take their health, for example. We know that lead causes damage, especially to young children. It causes things like developmental delay, learning difficulties, hearing loss, and seizures (It’s also not that great for adults causing high blood pressure, mood disorders and reproductive problems). There is no safe level of lead in the bloodstream. Are we doing enough to eliminate lead from the environment? Not according to this article. We spend billions on military defense, but can’t afford to keep our children safe from poisoning at home. The problem is that most of those who are affected by environmental toxins like lead are poor children of color. Chances are if we had lead poisoning in areas where wealthy white people lived, it would be taken care of immediately. …it’s not just in Michigan: A new U.S. government report says millions of children were potentially exposed to unsafe drinking water at their schools, but nobody really knows how many. Why? Because many states don’t bother running the tests. PUBLIC EDUCATION: A RIGHT, A PUBLIC GOOD, OR A CONSUMER PRODUCT? Is education a Right, a Public Good, an American tradition, a vehicle for fixing social inequities, an imposition on non-White/non-middle class children, or a public utility? Is it a private matter, a religious affair, a consumer product, or a national security imperative? It would seem that the Indiana Constitution, quoted above, considers it a right. It’s been a long time coming, but teachers are finally standing up for themselves and their students. Read this excellent piece on the Arizona teacher uprising. Years of budget slashing, tax cutting, and lack of support for the public good, has left Arizona schools underfunded and struggling. Paying taxes for the common good? That time has, apparently, passed us by. The test-and-punish, micromanagement, and belittling of teachers/public schools, has been a constant for decades. It doesn’t work to help children learn, but it’s apparent now that children’s learning has never really been the reason for so-called “education reform.” It’s all been done for privatization. 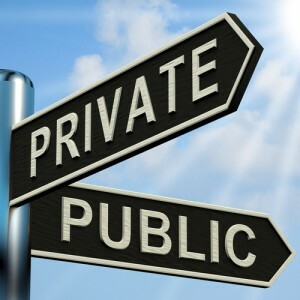 Privatization is not just for better schools any more (since it’s been shown that it doesn’t help). Now it’s for “choice.” The privatizers believe that parents should get to choose where their education tax-dollars are spent, and to hell with the common good. Public school teachers — and those who are hoping to become public school teachers — have to accept the fact that it is up to them (along with parents and pro-public education citizens) to fight for the survival of public schools. Teachers, you can’t just close your doors and teach anymore. We now hear policy makers suggesting that we “study and evaluate” the concept of vouchers. I’m all for school improvement and it’s possible that this program will provide needed help, although I’m not sure that Chicago should be our role model for improving schools. You can learn about 5Essentials here and here. My big fear with this program, and others like it, is that politicians and policy makers will impose a program on the public schools and then blame students, teachers, and schools if and when it doesn’t work. They don’t accept their share of the responsibility. Accountability is never taken by the policy makers, it’s only imposed, along with the mandates, on those in the schools. Politicians and Policy makers, try this program, to be sure, but accept responsibility for our state and nation’s shamefully high rate of child poverty and it’s impact on school achievement! The 5 Essentials model focuses on five qualities that strong schools share — effective leaders, collaborative teachers, involved families, supportive environment, and ambitious instruction. The Indiana Department of Education has built its own evaluation around these attributes. The state will start using its model based on the 5 Essentials at low-performing schools in their annual school quality reviews, which begin in October and are done by a team of experts, local educators, and school administrators or board members. Rod Paige and Margaret Spellings may have been worse. Betsy DeVos might be the VERY worst. 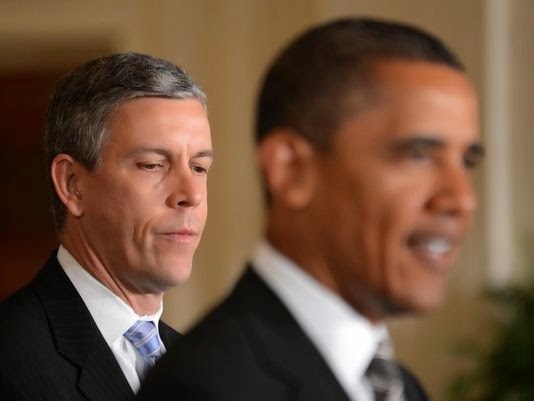 But Arne Duncan was no slouch when it came to running a damaging U.S. Education Department! The “education reforms” that Duncan says worked—desegregation and more equalized school funding—preceded his tenure as Secretary. He did nothing to further those reforms. Instead, he routinely pushed through reforms that didn’t work. An honest appraisal of the past decade reveals that Duncan caused more harm than good. 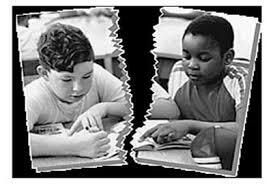 The 1954 Brown v. Board of Education decision was, for all practical purposes, reversed in 1999 when a federal court ruled that forced integration was no longer necessary because “intentional” segregation no longer existed. When some students walk through the door, they will take their first steps toward an endless potential of possibilities. Their schools have been cleaned and polished, new textbooks and computers await them, and their long-tenured teachers will comment on how much they look like their older siblings. Other students will walk into an entirely different setting. Students and teachers will be forced to learn in hot classrooms because the air conditioning has not been looked at since last spring. Their textbooks will have broken spines and the inscriptions of graduates from 1992. 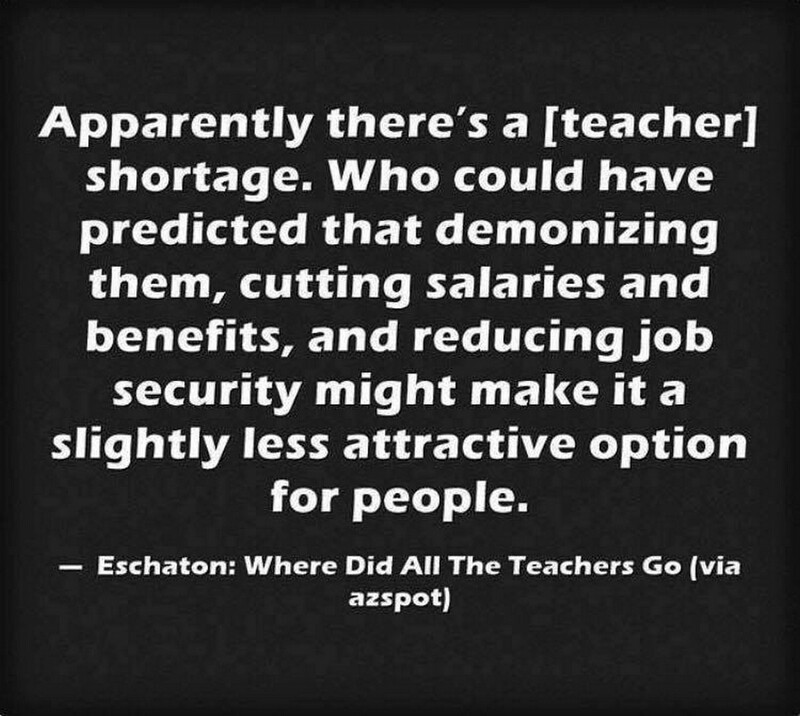 Some of the teachers who greet them at the door are kind enough, but they are scared to death because they just received their emergency certificate last week due to the dwindling teacher pool. Realistically, as students return to class after the summer break, they will be walking into two different public school systems. There is the public school system for the privileged, another for the poor and powerless. “Choice” has become the new tool of segregation. Choice and innovation sound nice, but they also echo what happened after the 1954 Brown v. Board of Education Supreme Court decision, when entire white communities in the South closed down schools to avoid the dread integration. This kind of racial avoidance has become normal, embedded in the public school experience. It seems particularly so in Los Angeles, a suburb-driven city designed for geographical separation. What looks like segregation to the rest of the world is, to many white residents, entirely neutral — simply another choice. How America’s public schools keep kids in poverty by Kandice Sumner, Boston Public School teacher. If we really, as a country, believe that education is “the great equalizer,” then it should be just that — equal, and equitable. Until then, there’s no democracy in our democratic education. The success or failure of students no longer matters to education “reformers.” Now it’s all about the “choice.” Unfortunately, most school “choice” advocates don’t mention that it is the school that makes the “choice,” not the student. Public schools accept all students. The latest study highlighting vouchers’ poor academic results looks at Indiana’s program, the nation’s largest. Researchers studied thousands of low-income Indiana students who used a voucher to switch from public to private schools beginning in the 2011-12 school year. Focusing on students in grades five through eight over the course of four years, the study found the voucher students consistently scored worse in math than their public school peers. The results for English proficiency were a wash; “there were no statistically significant positive effects after four years,” was how the education blog Chalkbeat described it. These study results echo those from an Indiana voucher study released last year. So, Indiana diverts more than $150 million per year in taxpayer money away from public schools and into private schools with little to show for it. “Although school vouchers aim to provide greater educational opportunities for students, the goal of improving the academic performance of low-income students who use a voucher to move to a private school has not yet been realized in Indiana,” wrote the study’s authors. What kind of schools and teachers do we need for our children? Linda Darling-Hammond lists the top five actions we need to take to improve education in the U.S.
tl;dr More money is needed to reduce out-of-school factors which interfere with achievement. How do countries that have built an education system that is really strong, do it? And what’s the difference between what they’re doing and what we see in the united states right now? Number 1, they take care of children. They have a child welfare system. They don’t allow high rates of child poverty. In the United States, one out of four children lives in poverty — homelessness has increased astronomically, children with food insecurity and so on, raggedy early childhood system for learning in the United States. And these nations…Canada is one of them, also, by the way, that’s near the top…take care of children. They have food and housing and they have early learning opportunities that are high quality. Policy makers have long held public schools solely responsible for their students’ achievement. The A-F school grading system in Indiana and other states places the burden on schools alone to solve the problems of low test scores — as if tests alone were an adequate measure of student achievement…as if there were no out-of-school factors that had an impact on student achievement. Policy makers must be held accountable as well as schools. Educational malpractice doesn’t happen in the classroom. The greatest educational malpractice in the Unites States happens in the statehouse not the school house. If we truly cared about how our students end up, we would have shared accountability, where everyone whose fingerprints are on these students of ours, has to answer for the choices that they make. One of the out-of-school factors having an impact on student achievement is the presence of environmental toxins in neighborhoods, like lead. Exposure to lead has an impact on children’s school achievement and behavior. Public schools in areas with high levels of lead exposure (according to the CDC any exposure to lead is too much) are labeled “failures” because of the students’ low achievement. Yet, in many cases, it’s public policy which allows exposure to lead. And it’s not just the children. Adults who work in schools are also exposed to high lead levels. According to a new study by the Government Accountability Office that was also prompted by the Flint crisis, only 43 percent of school districts test for lead in drinking water. About a third of districts that do test reported elevated lead levels. That means tens of millions of students and educators could be exposed to lead—a proven neurotoxin that is especially devastating to children’s developing brains—through water they consume at school. 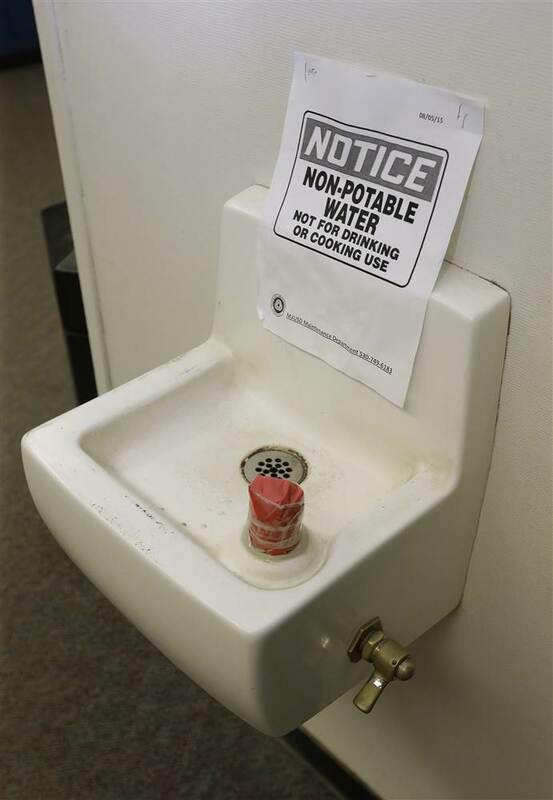 Educator unions are leading the charge in many communities to demand water testing and access to the results and advocating for policies to ensure future monitoring. Russ Walsh presents the case for read-aloud after elementary school. If we want students to value reading we need to let them know that we value reading. 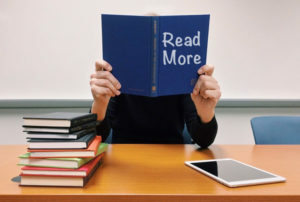 For the students in our survey, it is clear that high-engagement reading and language arts classrooms would include time to read, time to listen to teachers read, and access to personally interesting materials [emphasis mine]. WHY ISN’T PREVENTING LEAD POISONING A NATIONAL GOAL? It’s hard to stay focused on education topics when the country is under the stress it now finds itself. When August and September roll around, however, no matter what’s happening with the nation’s immigration crisis, with the Supreme Court, or with the investigation into possible treasonous activity on the part of the President’s political campaign, the nation’s schools will fill once again and teachers will try to ease the stress on their students with the healing power of routine, curiosity, and study. Yet some children, including those from Flint, Michigan, will go back to school with their blood contaminated by lead. Despite the claims of the politicians, lead is still an issue in Flint (and elsewhere). The repair of the water lines responsible for contaminating the bodies of school children is actually causing the condition to worsen. In addition, the State of Michigan is allowing Nestlé to pump millions of gallons of water from the Great Lakes in order to bottle and sell it. Nestlé is “giving” a few thousand gallons back to the people of Flint. According to the interview below, Nestlé is donating less water than they drain from the lakes in an hour per week back to the people of Flint – the same lakes which should be providing the clean water to the city’s residents. Most residents are having to buy water and pay their water bills. The “donation” from Nestlé is barely a supplement. NAYYIRAH SHARIFF: Well, the water is not safe to drink. And while they are replacing the lead service lines, because of just the, the vibrations from that, it’s reintroducing lead particles into the system. So the water will not be safe to drink until after the lead service lines are replaced. But I will say a larger picture is there are a lot of things like lead that’s in our water that the state is refusing to act on. EDDIE CONWAY: OK. So since they stopped distributing the water bottles, what are the citizens doing there for safe water? NAYYIRAH SHARIFF: Well, people are going back and buying water. There are still some small donations from people. And I would say one of the, one of the more unfortunate consequences from this is it’s given a chance for Nestlé, who’s paying, like, $200 a year to pump 500 gallons a minute from our Great Lakes, they’re donating 100000 bottles of water a week to Flint. So that’s like one bottle per person. EDDIE CONWAY: OK. So you’re saying it’s a PR boon for Nestlé, who’s stealing a large amount of water out of the lake, and giving you all a bottle apiece a day? Is that what you’re saying? NAYYIRAH SHARIFF: Yes. Nestlé is donating 100000 bottles of water a week to Flint residents. And while people are desperate and they’re using that water, this is just a PR move for Nestlé. 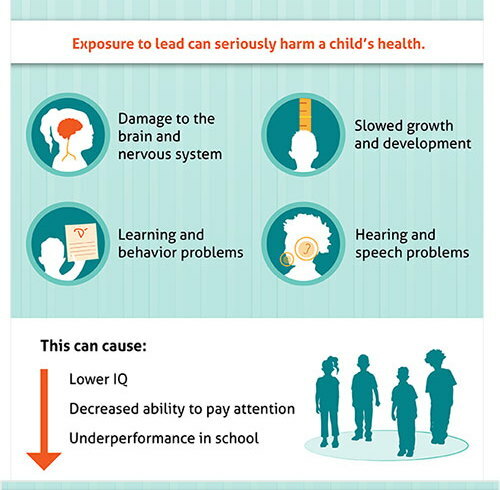 Lead hurts kids, including their ability to learn. But new research shows cities can help. A new study shows that the effects of lead poisoning in children can be ameliorated somewhat, but it will cost money. Now, a new study says there’s a lot that can be done about it — even for kids who have already been exposed to the chemical, which was common in paint until the late 1970s. Straightforward efforts, like making sure kids get nutritional help and aren’t exposed to any more lead, can boost student learning and cause substantial decreases in suspensions, absences, and crime rates. Politicians and pundits should take note. Environmental toxins such as lead are just one of the factors outside of school which contribute to low achievement. The research underscores how factors outside schools’ control can profoundly influence academic outcomes. Low wages and poor working conditions undermine the quality of early education experiences, which hinge on positive adult-child interactions. When teachers are worried about their ability to put food on the table, pay their bills or take care of a sick child, they are understandably less able to focus on the needs of the children in their care and to provide the intentional interactions so critical to child development. The result is high turnover rates and difficulty retaining the most qualified educators. In turn, this creates instability for young children, who crave routine, and decreases the likelihood that children will reap the long-term benefits that come from attendance at a high-quality preschool staffed by experienced, highly skilled educators. 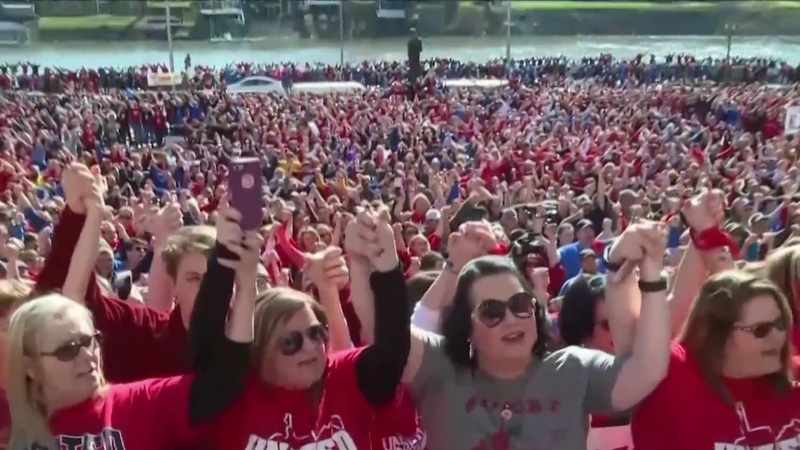 Corporate America received a win last week when the US Supreme Court overruled the case for unions collecting fees for services they are required by law to provide all employees in their bargaining unit. The ruling has two serious results. First, it has legitimized freeloaders who pay nothing to support those who work to improve their working conditions, and second, it has energized anti-union forces around the nation. On June 27, 2018, in Janus V. AFSCME, the US Supreme Court ruled 5 – 4 that nonunion workers cannot be forced to pay “fair share” fees when union advocacy results in a benefit to nonunion members. The extreme-right-wing Mackinac Center for Public Policy is using the Janus decision to actively campaign for the fiscal crippling of unions by targeting emails to organizations such as school districts in order to try to get union members to “opt out” of union membership. Here’s a companion piece to the story above about union busting by the US Supreme Court. 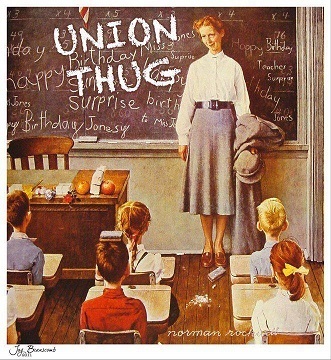 Busting unions is just one part of the Global Education Reform Movement, or GERM, and it’s an international affliction. Threatens the teaching profession by prioritizing and imposing a business model on education. 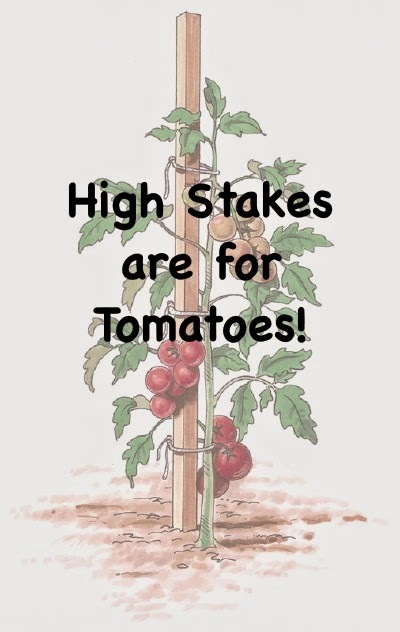 Emphasizes competition between schools and teachers, using high-stakes testing. Aims to produce a narrowly educated workforce, which can read instructions and advertisements but is discouraged from thinking critically about the world. Views education as an opportunity to maximise human capital. Abandons education’s role to create cultural good and social cohesion. Takes education out of the hands of those who own it, teachers, students, parents, and the public, to develop a commodity which can be traded globally. 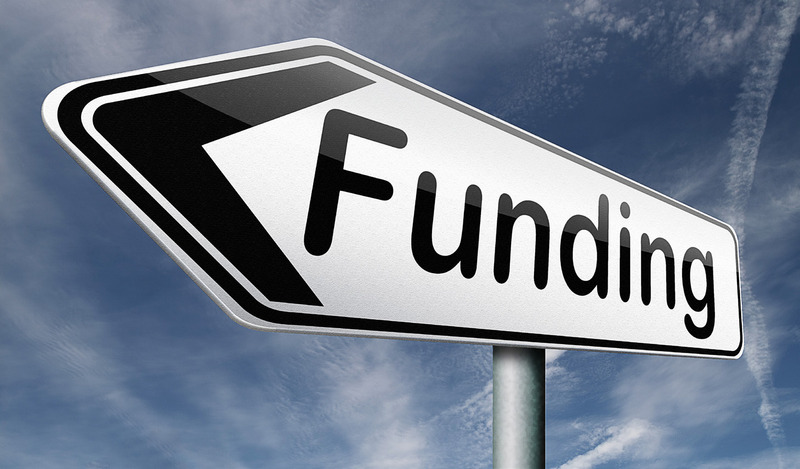 Creates a service sector which is open to trade and investors. Education becomes about profit not people. There’s an emphasis on education technology for capital. Breaks good school systems into academies, free schools, or in America, charter and voucher schools. Creates a national pay framework. Relies on performance related pay—think social impact bonds. We all owe it to ourselves to understand where the United States has been with our immigration laws in order to understand where we are now. …our immigration laws have increasingly become more strict, with a growing focus on controlling undocumented immigration. How these laws are interpreted and implemented is determined for the most part by court rulings when the government and its agencies are sued on behalf of immigrants (class action suits). When a ruling is made on a class action case, that ruling then becomes national policy. The anti-tax atmosphere in the U.S. is taking its toll. Every one of the articles listed below deals with a problem that the U.S. refuses, or is unable to pay for…fully funding schools based on the needs of children, lack of investment in early childhood education, the high rate of child poverty, and most disturbing, the lack of funding, ability, or will, to keep our children safe from lead poisoning. The recent tax plan, which cuts taxes for the wealthy, will make it even more difficult for states, especially poor states, to fund their public schools. Don’t punish schools because Johnny can’t read. Invest in them instead. Instead of throwing money at vouchers and charter schools we need to fully fund public schools and give kids the support services that they need. When children struggle with learning to read the tendency is to blame the child and make him or her repeat a grade. This. does. not. work. Some children need additional help beyond their classroom. Instead of closing their schools because of low achievement test scores, their schools should receive the funds to hire specialists and support staff so students can get the extra help they need. Retention doesn’t help, and the research shows it. We know that investment in early childhood education pays off, but we’re still lagging behind the rest of the world. The US is a global laggard in investing in early childhood programs. Even though more parents are working, enrollment in early schooling (before kindergarten) at the age of 3 in the US is 30 percentage points below the OECD average. The gap is just as stark for 4-year-olds: 87% are enrolled in pre-primary and primary education, on average, across OECD countries. In the US that figure is 66%. If you’ve had the feeling that America’s poor aren’t getting the help they need, you’re not alone. 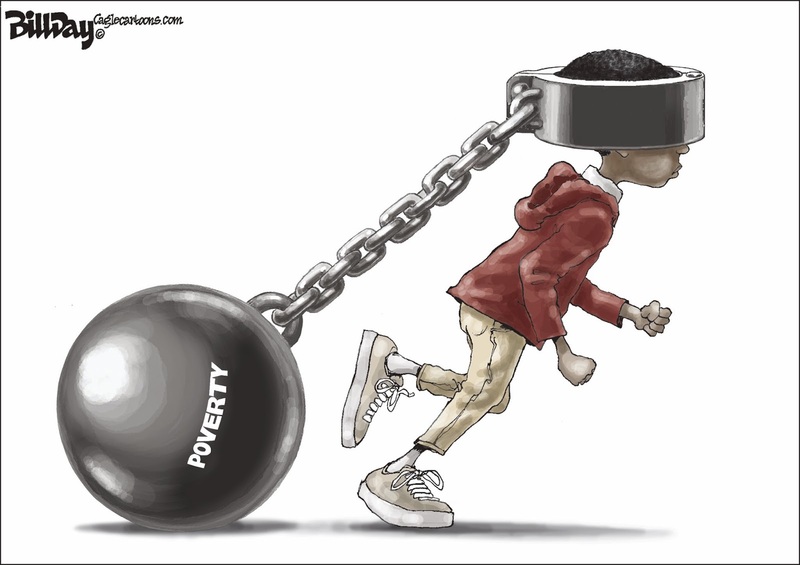 A report from a U.N. investigator brings to light the fact that the U.S., with the highest child poverty rate in the industrialized world, is working hard to increase economic inequity. Indiana, Illinois, New Jersey, and Michigan…every one of those states, as per the articles below, have problems with their children being exposed to lead. Every one of those states ought to make sure that public schools are fully staffed to handle children with the special needs caused by lead exposure. Unfortunately, this is just a small sampling of lead exposure in the United States. A large number of our children are being poisoned and are going untreated. Public schools are tasked with having to deal with children who are living with the effects of lead poisoning…and need to be funded accordingly. The Environmental Protection Agency has discovered more lead contamination in northwestern Indiana. Tests found 25 yards with soil lead levels exceeding the federal cleanup standard of 400 parts per million. One home’s soil tested as high as 2,760 parts per million of lead. …lead was detected in nearly 70 percent of the almost 2,800 homes tested over the past two years, according to a Chicago Tribune analysis. No safe level of lead in a child’s blood has been identified, but county health departments generally take action when testing shows 5 or more micrograms of lead per deciliter of blood. About 4,800 children in New Jersey surpass that threshold, according to the latest figures. Tests for lead levels in young children living in the 49507 ZIP code, which includes much of southeast Grand Rapids, revealed the area had the most children in the state with elevated lead levels, according to a 2016 Michigan Department of Health and Human Services report. Lead poisoning can cause permanent, irreversible damage to many organs and is also linked to lower IQs, hyperactivity and aggressive behavior, according to the Centers for Disease Control and Prevention. Unlike Flint, where the water supply was to blame for increased lead exposure, Grand Rapids’ problem is primarily tied to the lead paint found in many older homes. Four out of five homes in Grand Rapids – and nearly three out of five countywide – were built prior to 1978, the year lead was banned in paint. Snyder and his administration didn’t cut it either, apparently ignoring the reading mission the same way they ignored the Flint water crisis: Third-grade reading proficiency in Flint, where Snyder allowed the water — and children — to be poisoned by lead, dropped from 41.8% in 2014 to 10.7% last year. A Slow Death for Our Children. 2018 Medley #11: What’s In Your Water? 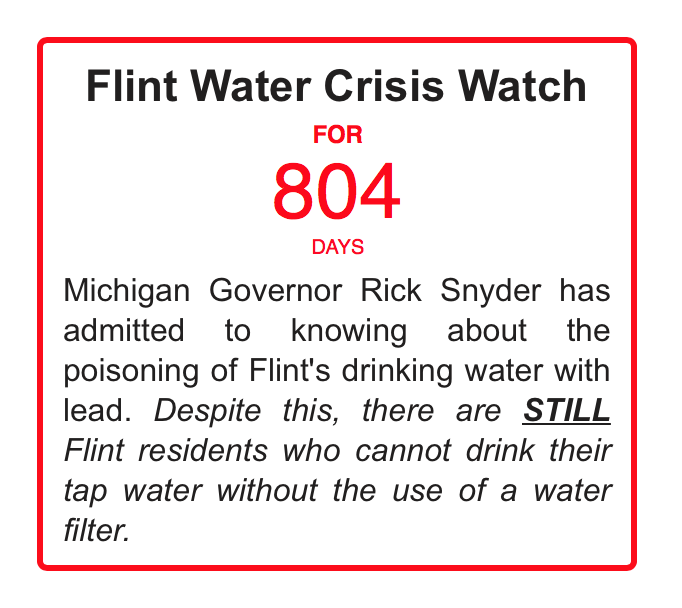 In a recent blog post, I noted that Governor Snyder of Michigan has declared the Flint Water Crisis over. The state has stopped distributing bottled water. Unfortunately, the state’s record of truth-telling on the condition of Flint’s water is suspect and the residents aren’t sure they’re safe from poisoning. But many of the city’s residents don’t much believe the water’s safe. Who can blame them? Because of decisions made by state-appointed emergency managers and the Michigan Department of Environmental Quality, they were forced to use water laced with dangerously high levels of lead, a potent neurotoxin, and contaminated by bacteria that cause Legionnaires’ disease, which claimed at least 12 lives during the 18 months the city used the Flint River as its municipal water source. Despite the concerns voiced by residents and mounting scientific evidence that a massive problem existed, those same officials repeatedly offered assurances that the water was safe and attacked the credibility of those attempting to reveal the truth. Gov. Snyder’s termination of the free bottled water program has met intense resistance. Flint mayor Karen Weaver has threatened legal action. Dr. Mona Hanna-Attisha, the Flint pediatrician who proved blood lead levels in children dramatically increased after the switch to the river, tweeted that bottled water should continue to be provided until all the city’s lead service lines are replaced. Residents agree, with many expressing concerns that unfiltered tap water can still pose a significant risk. They are right. Lead testing done by the Michigan Department of Environmental Quality in February found 28 water samples in elementary schools that registered above the federal lead limit of 15 parts per billion. Flint, a city of around a hundred thousand where nearly two-thirds of the citizens are people of color, has a child poverty rate of more than sixty percent. This alone would account for low school achievement given the correlation between poverty and achievement. We know that the stresses of poverty have an impact on brain development. When the effect of lead poisoning is factored in, the conditions for learning become even more at-risk. Is Flint’s Water Crisis Leading to Lower Test Scores? There’s no scientific proof, as yet, that the lead-in-the-water-crisis has lead to lower achievement, but it certainly hasn’t helped, and the future of the children whose development has been compromised by both poverty and lead-poisoning is in jeopardy. Educators have developed a web site, Flint Cares, which “provides information on what to look for and links to help students experiencing the emotional and physical effects of lead poisoning,” but will that be enough? Will the state provide enough money to support the education of large numbers of students whose lives have been affected by lead poisoning? 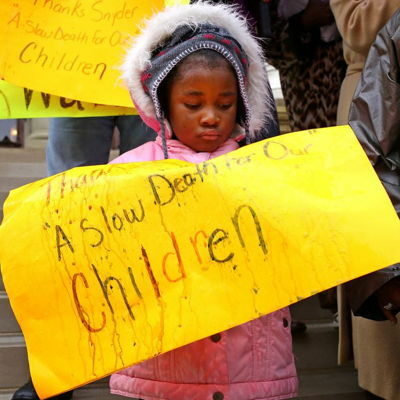 Will test scores of students who have been poisoned by lead cause school closures? Will teacher evaluations be lowered for those teachers who choose to work with difficult-to-educate students? Will third graders be forced to repeat third grade because of Michigan’s third-grade-retention law and lead exposure? Will schools be punished for the low test scores of lead-impacted students? In other words, will schools and children be punished for the damage done to them by state neglect and mismanagement? From Eclectablog, as of April 29, 2018. Click for link to Eclectablog. I’ve discussed the relationship of lead exposure to school achievement, but there’s also a correlation of lead poisoning to crime. Will the State of Michigan take responsibility for an increase in crime as lead-exposed children grow up? In the second half of the nineteenth century, many American cities built water systems using lead or iron service pipes. Municipal water systems generated significant public health improvements, but these improvements may have been partially offset by the damaging effects of lead exposure through lead water pipes. We study the effect of cities’ use of lead pipes on homicide between 1921 and 1936. Lead water pipes exposed entire city populations to much higher doses of lead than have previously been studied in relation to crime. Our estimates suggest that cities’ use of lead service pipes con- siderably increased city-level homicide rates. Lead exposure in the U.S. is widespread. Toxic lead has been seeping into Chicago’s drinking water, and the city is dragging its feet to fix the problem, according to an analysis published Thursday by the Chicago Tribune. Lead was found in 70 percent of the 2,797 homes the Tribune sampled across the city since January of 2016. And three in 10 of those had lead concentrations higher than 5 parts per billion (ppb), the Food and Drug Administration’s upper limit for lead in bottled water. The State of Michigan has yet to take full responsibility for the water crisis in Flint. Chicago is slow to respond to the lead in its water. Do you think that the EPA, under Scott Pruitt will take any action? Do you think Betsy DeVos is going to help? We’ve known about the damage caused by lead exposure for a long time, yet we’re still slow to clean up lead in our environment. Lead poisoning and its related human damage is preventable…but only if we choose to prevent it. Comments Off on 2018 Medley #11: What’s In Your Water? The State of Michigan has declared the Flint Water Crisis over even though some elementary school water tests still show high lead limits. Long term effects of childhood lead exposure include learning disabilities, speech disorders, lowered IQ, behavioral disorders, and hyperactivity. The city of around 100,000 is more than 50% African-American. 41% of its residents live below the poverty line. Nestlé, on the other hand, gets all the crystal clear Michigan water it wants. That’s the opening line in an article in The Detroit News less than one month ago. Despite this, the state of Michigan, just days after turning control over the city back to local elected officials, declared the Flint Water Crisis over and announced that it is discontinuing providing bottled water to the city’s residents. …the decision was announced a mere three days after the Snyder administration announced that it was approving a permit for Nestlé Waters North America to increase its withdrawal of ground water to produce Ice Mountain bottle water from 250 gallons per minute to 400 gallons per minute — 576,000 gallons per day. …as of April 11, 2018. Stephen Krashen has some advice for our president. Less tweeting. More reading. The March 26 letter “B-I-A-S” suggested that The Post has reached a “new low” in commenting on President Trump’s spelling errors. I don’t think The Post went deep enough. Mr. Trump’s poor spelling reflects problems far more serious than a failure to proofread. My research on language acquisition shows that poor spelling is often the result of not having a reading habit. Studies also show that those who read a lot know more about history and science. They also have greater empathy for others and understand that the world is complex. Mr. Trump is a perfect example of a nonreader, and his lack of a reading habit has hurt all of us. When a Religion is good, I conceive that it will support itself; and, when it cannot support itself, and God does not take care to support, so that its Professors are oblig’d to call for the help of the Civil Power, it is a sign, I apprehend, of its being a bad one. The same is true of religious schools, which is why tax dollars should be reserved for public schools. 98% of schools receiving vouchers in Indiana are parochial schools. The other 2% are non-religious private schools. The impact of the voucher program is not based on how many vouchers are used in your district. It is based on each year’s voucher program cost to the Tuition Support budget across the state, regardless of the number of vouchers used within the district. For example, Lebanon Schools lost more than $530,000, Plainfield Schools lost more than $770,000, and Carmel Schools lost more than $2,365,000 this year. Currently, there are 23 school districts where no vouchers are used. They are small districts and the voucher program costs them more than $4 million this year combined. Peru Schools is the largest of these districts and it lost more than $321,000. Here are this year’s losses in Allen County: East Allen County Schools, $1.38 million; Fort Wayne Community Schools, $4.47 million; Northwest Allen County Schools, $1.13 million; and Southwest Allen County Schools, $1.08 million. To make this complicated issue much simpler, and in honor of Fiona and Pi Day (March 14), think of a loganberry pie. Indiana has baked a smaller pie and expects it to feed a larger number of people. More kids, fewer dollars. A standardized test is like a home thermostat. A thermostat measures one thing – the temperature in one room. It doesn’t measure the quality of the roof construction, though that may have an impact on the temperature. It doesn’t measure the quality of the kitchen appliances, though that, too, might have an impact on the temperature. Standardized tests should be used, like thermostats, to measure that for which they were designed. 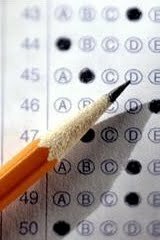 Using tests for measuring other things is a misuse of the test, and, if done for an entire school or state, educational malpractice. Likewise, we will fail if we try to use the thermostat read-out to evaluate the efficiency of the power generating and delivery capabilities of our electric company, or evaluate the contractor who built the house (in my case, almost a hundred years ago), or evaluate the health and well-being of the people who live in the house– or to jump from there to judging the effectiveness of the doctor who treats the people who live in the house, or the medical school that trained that doctor. At the end of the day, the thermostat really only measures one thing– the temperature right there, in the place where the thermostat is mounted. To use it to measure any other part of the house, or any other aspect of any other part of the house, or any aspect of the people who live in the other parts of the house– well, that just means we’re moving further and further out on a shaky limb of the Huge Inaccuracy Tree. In this way, the thermostat is much like the Big Standardized Test– really only good at measuring one small thing, and not a reliable proxy for anything else. Alfie Kohn argues against tests…any tests. Some students cost more to educate than others. That’s why charter schools and private voucher receiving schools work the system to avoid enrolling them. Even among public schools however, there are some students who need more resources, specialized teachers, or specialized equipment. Those students will cost more to educate. Students who grow up in high-poverty schools are often among those who are more expensive to educate. 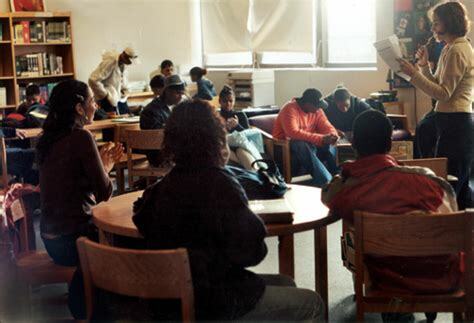 They need wraparound services not usually found in wealthier suburban schools. Their schools will need more teaching assistants, transportation options, nurses, social workers, counselors, and psychologists. States which fund schools equally are short-changing their students who grow up in poverty. Equality does not necessarily mean equity. The common good stems from “promote the general welfare.” Government has a responsibility to take care of all the people, not just the wealthy. Public water systems, government maintained roads, highways and bridges, public parks, public libraries, and public schools are benefits for all. Even if you don’t drive the roads provide a way for goods and services to reach your home. Even if you don’t have children the public schools support the growth of the next generation of citizens. The common good, by definition, is good for everyone. Their value is a strain of individualism that stands in opposition to the common good. Their strategies are: Promote fear and undermine public confidence in government as a vehicle to keep people safe. The goal is the further enrichment of the already privileged. Are the Democrats in Indiana against the Republican privatization agenda because they believe in public schools, or just because they’re the opposition party? If the Democrats ever become the majority will they be able to resist the lure of corporate/privatization campaign dollars? Some images from around the internet related to children, education, and teaching. 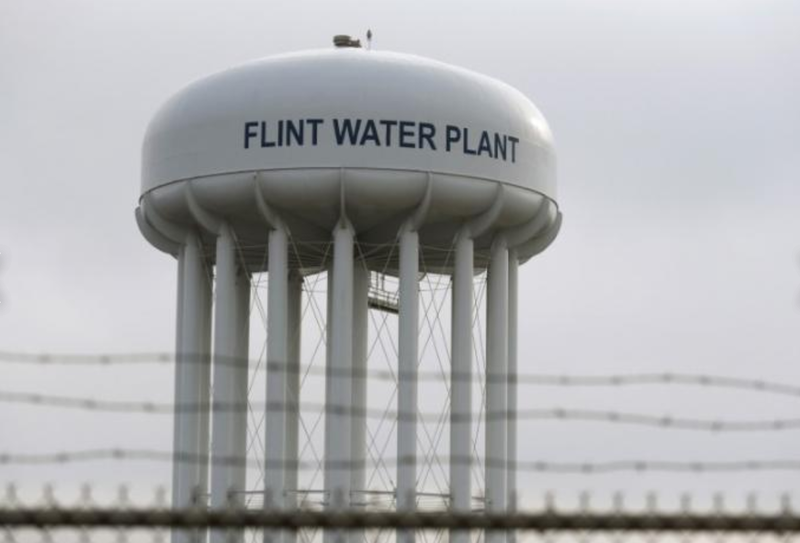 Chris Savage, at Eclectablog, has been tracking the condition of water in Flint, Michigan. Would this environmental travesty still be a unresolved if the city wasn’t Flint, with an average income of $30,567? Would you expect this problem to drag on for more than two years in a place like Bloomfield Hills, Michigan, with an average income of $108,432? Most definitely not. Yet, the people who have been responsible for this are still in power and still making decisions which impact people’s lives. The same type of behavior towards communities made up of predominantly low income and/or people of color continues, as Governor Rick Snyder has recently shown. Snyder decided that Michigan’s 13th district (covering parts of Detroit and Dearborn Heights) must wait until next November to choose a replacement for John Conyers who resigned from the U.S. House of Representatives earlier this month. This means that approximately 700,000 Michiganders, the majority of them people of color, will be unrepresented for the next eleven months – effectively punishing the voters for their representative’s indiscretions. They will be unrepresented when the House votes on the Donor Relief Act of 2017 – aka the Republican tax bill. They will be unrepresented when votes are taken to keep the government running. They will be unrepresented when they pay their taxes on April 15th. Back in Flint, the children (and their families) are still exposed to poisoned water daily. When the public schools “fail” because the children were exposed to toxic levels of lead in their water, who will get the blame? 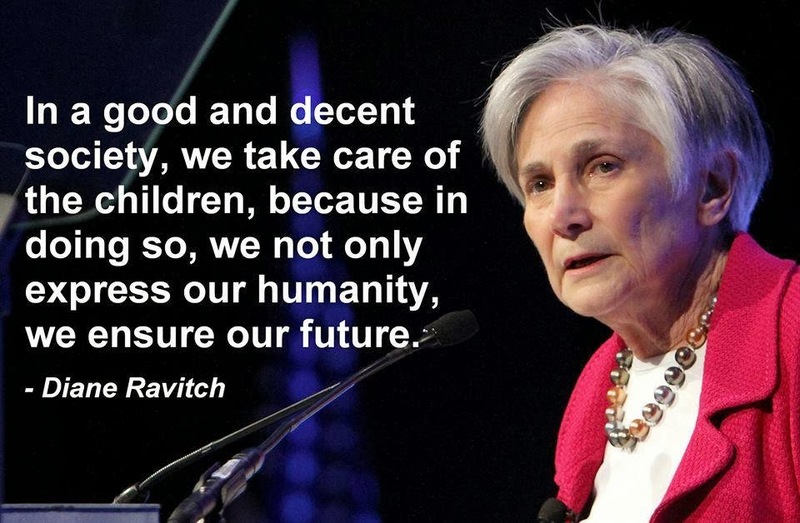 The children…the teachers…the schools…or the municipal and state leaders who are actually responsible? Since this graphic was posted on December 12. 2017, it’s now (as of this writing) 806 days. Betsy DeVos knows nothing about education, yet she lectures the public on the “failure” of the public schools. Barack Obama, Arne Duncan, George W. Bush, and Margaret Spellings knew nothing about education, yet they had no trouble making policy for the 50+ million public school students in the U.S.
Bill Gates, Eli Broad, Mark Zuckerberg, Reed Hastings, and Jeff Bezos know nothing about education, yet they spend their money and time working on the privatization of public schools. Mike Pence and Mitch Daniels knew nothing about education, yet they damaged the teaching profession and made policy damaging to public schools. The Republicans in the Indiana General Assembly (Bob Behning, et al) know nothing about public education and work tirelessly to allow the privatization and destruction of the state’s public education. Educators have the expertise. Educators deserve a voice. Rahm Emanuel appeared on Stephen Colbert’s Late Show earlier this week. Colbert asked no questions about public education. He asked no questions about the closing of community schools in poor neighborhoods, and, I assume, their eventual replacement with charter schools with no record of higher performance…since the problem is poverty, not the schools. There were no questions about the lack of funding for public schools. There were no questions about the difference in the way schools are treated in different neighborhoods. The Chicago Sun-Times, a slightly more progressive media outlet than the conservative Tribune, has called for the democratization of CPS, the Chicago Public Schools, by including elected members of the Board of Education. Because of its size, Chicago has local school councils which are elected, but the Board of Education, which makes most of the large decisions, is appointed by the Mayor. The local school councils can object if one of their school’s is marked for closing, but they have no real power. That’s why closing schools can be based on demographics – which it has been under Mayor Emmanuel. The real problem is twofold. First, the schools marked for closing over the last few years have been in less affluent areas of the city. Once again we have schools targeted because they were/are “failing” – which in “reform” language, means filled with low income students who need more services (and which the city is unable, or unwilling to provide). The second problem in Chicago is the Emmanuel’s penchant for charter schools. Despite the scandals involving charter payoffs, and despite the fact that charters do not improve educational outcomes for students, the Mayor continues to push for charters. Emmanuel went on The Late Show in order to join Colbert in bashing President Trump. He claims that Chicago has been declared a “Trump-Free Zone,” and is a sanctuary city (in Emmanuel’s words, a “welcoming” city), welcoming immigrants. This is all very well and good, IMHO. 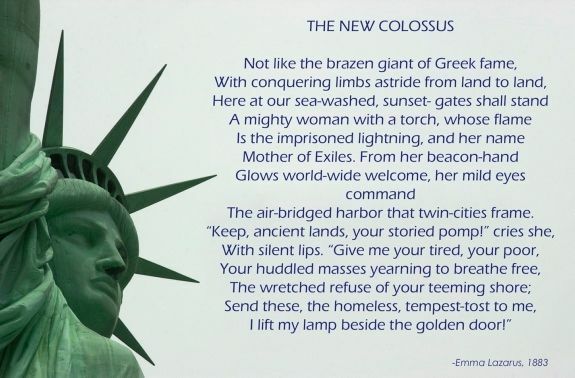 I applaud cities which are fighting the current administration’s anti-immigrant policies (as well as the policies which deny and exacerbate climate change which Emmanuel also mentioned). Still, the damage that Mayoral Control is doing to the Chicago Public Schools should be acknowledged. In 2012 the Chicago Teachers Union produced a report titled, The Schools Chicago Students Deserve. Mayor Emmanuel ought to read it…and follow its advice. Here’s Fred Klonsky’s drawing describing the Mayor’s impact on the city schools. 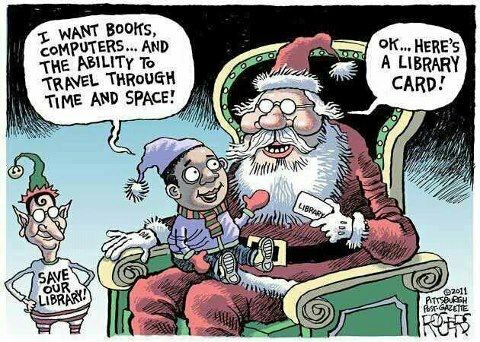 A repost from years past…support your local library.